On 14th December St Mary’s celebrated the festival of Saint Lucia, a symbol of light in darkness, combining it with the Christingle Service. Saint Lucia lived in Sicily about 300 years after Jesus' birth. Her parents were Christians, and at that time many Christians were being persecuted for their faith and were hiding from the authorities by living in caves deep in the mountains. Lucia's mother became very ill, and as thanks for her mother’s recovery Lucia devoted her life to God by helping to deliver food and water to the Christians living in the caves. To provide light, Lucia wore a crown of candles. Unfortunately Lucia was reported to the ruler for being a Christian, was imprisoned, and eventually put to death by the sword. Lucia was remembered by Christians as a saint and martyr. It is thought that in the 10th Century missionaries from Southern Europe took the story of Saint Lucia to Scandinavia. In that part of the world where winter nights are very long and cold and there are only a few hours of daylight, people are perhaps more aware than most of the importance of light in darkness. The people of Scandinavia have adopted Saint Lucia, and in villages, towns and cities there are often processions in her honour taking her message of light and hope. 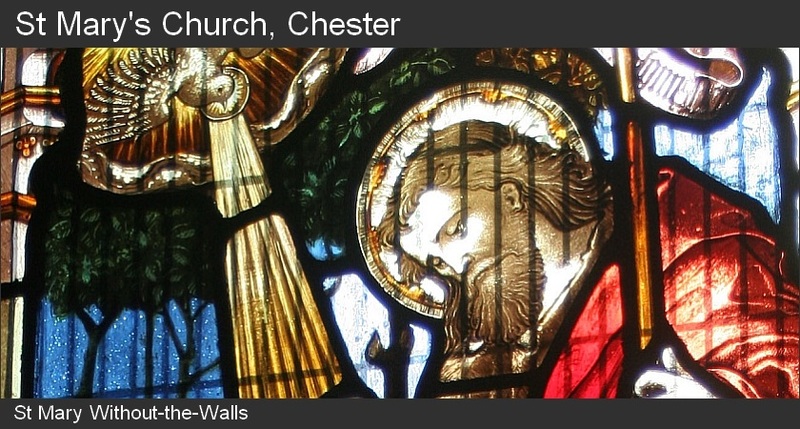 This is the background to the celebration and the procession which takes place in St Mary’s. 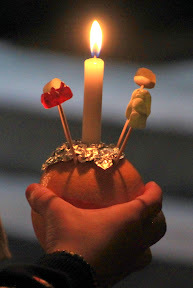 The St Lucia procession was followed by our Christingle Service, to support the work of the Children’s Society. One young lady could not decide whether to eat the sweet or the candle!